SAYER PETER DOUGLAS Sadly passed away on November 24th. Loving husband to Jill. Dad to Emma, Sarah, Hannah and James. Grandad to Luke, Jaime, Robyn, Jacob, William, Arin, Emilia and Selin. Brother to Jill. Peter will be sadly missed by all that knew him during his time in his burger van on Guist Road, Norfolk. Funeral service to be held on Tuesday, December 18th at 11:00am at St Faith's Crematorium. 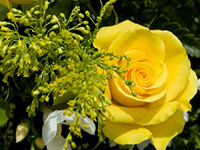 Family flowers only please but donations, if desired, are for Colney Centre Norwich and can be given on the day or sent c/o R J Bartram & Son Funeral Directors, 17 Theatre Street, Dereham, Norfolk, NR19 2EW. Bright colours are welcome.